Colorado 2010 (aka Out of Africa 2010 Reunion)–Breckenridge Day 2. 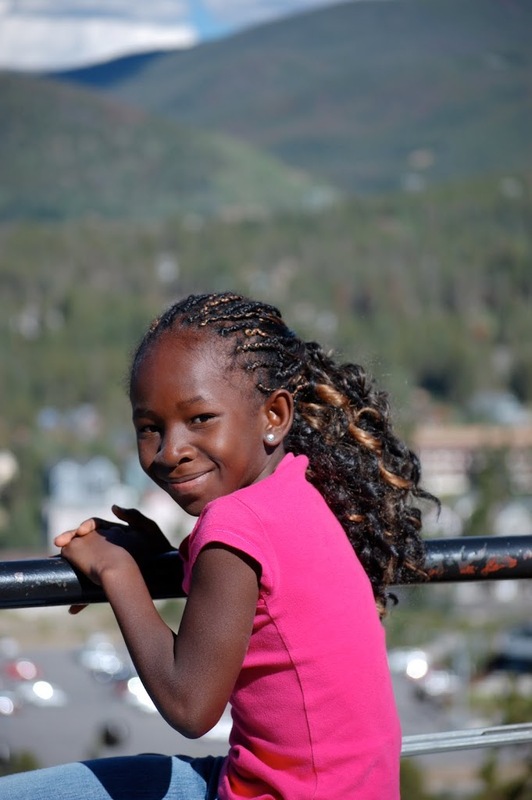 Hope, Giggles’ Ghanaian BFF, is coming today! That’s all I heard all day. Hope was in school, and her mom now has a teaching job (way to go Sister Kara! ), so they were going to meet up with us at the end of the day. That didn’t stop the Duo from asking about it nearly hourly all day. We tried to tire all the kids out with a hike up a mountain. 1.8 miles up and 1.8 miles down. They did great! We got stopped many times on the mountain to ask about our crew. It was getting a little ridiculous, in a funny way. At the “top” having a snack. We hiked back to the cabin and had lunch. Then we decided to take a drive to see all the big ski resorts. We drove to the scenic overlook and all just stood there in awe for probably 20 minutes. What a view! Isn’t my daughter gorgeous? I am so proud of her! She’s gorgeous inside as well. Again, another wonderful family friendly and totally free day. I love it! who wants to re-iterate that she is officially the cheapest woman alive. 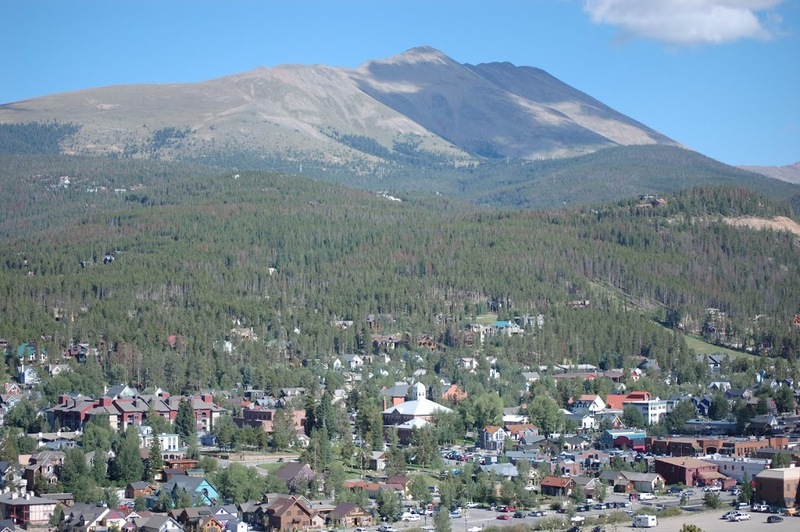 Previous postColorado 2010 (aka Out of Africa 2010 Reunion)–Breckenridge. I think I come in a close second–just ask my husband.